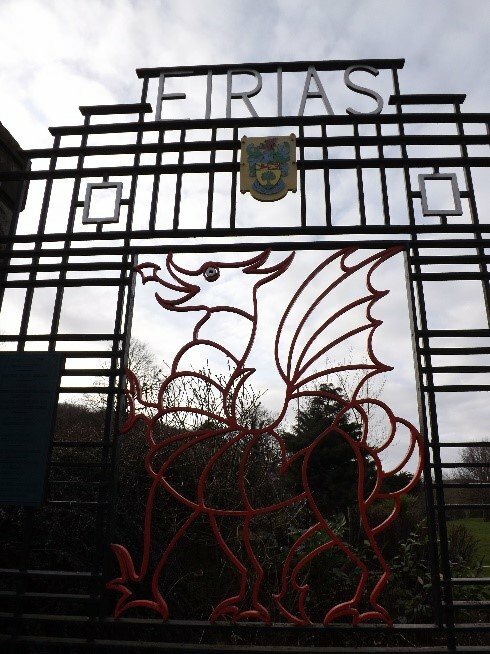 Summary: Eirias Park opened in 1923 and rapidly developed facilities for many sports and recreational activities over a 50-acre site. Various developments have eroded some of the park’s area and facilities. 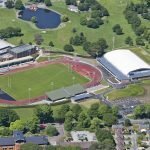 In recent years there have been major improvements in the football stadium and the park is now a Rugby centre and hosts major games and musical events which can be televised. The more conventional parts of the park now need similar improvements. 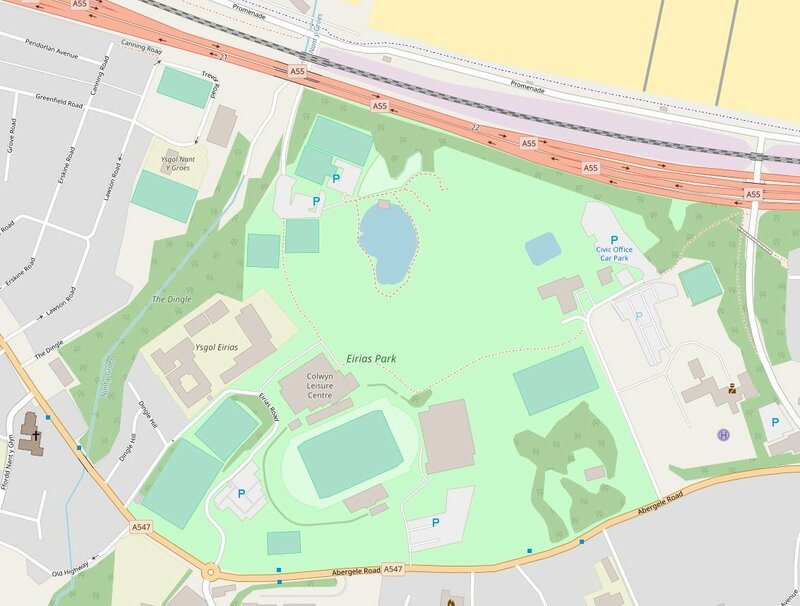 Postcode: LL29 7SP (defines the location of the Leisure Centre, accessed from Abergele Road), LL29 8PU (plus street number 2 brings you to the roundabout entry to the park), LL29 8HF (defines The Dingle but, after leaving The Promenade, follow the left fork for Eirias Park). 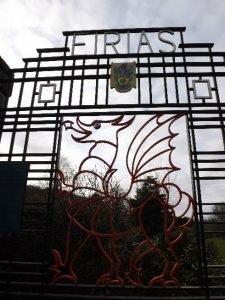 Eirias Park is the main park in Colwyn Bay. 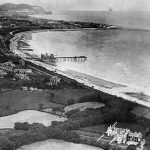 Council minutes for 1919 indicated that the Eirias Estate was up for sale and this, with several small parcels of land, became the original park helped by a loan from the Ministry of Health who seemed to oversee such developments in those days. Old maps show an ‘Eirias House’ on the edge of The Dingle just where the road from the Promenade enters the car park. 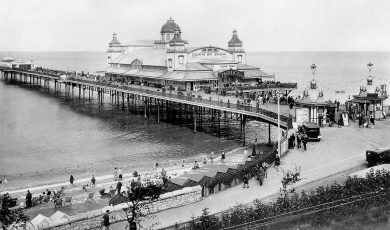 Obtaining the land for a connection to the Promenade led to difficult negotiations with the landowner. 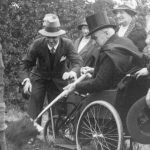 The park opened in September 1923 as a set of playing fields covering 27 acres or 11 hectares (ha). In 1929 an extra 23 acres (9 ha) were added and, by 1930, the park had tennis courts, a remarkably large model yacht pond, adjacent rockery and a café. 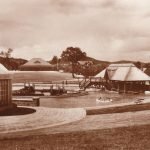 Circa 1934, the boating lake, a boathouse and a bandstand were added along with a bowling green pavilion and an improved café. A second bowling green was added at about the same time. Colwyn Bay Football Club had a playing field and stand in the area. During World War 2 some playing fields became temporary allotments – some were still apparent in a 1948 map. The National Eisteddfod was held in the park in 1947 and the handsome gates at the Abergele Road entrance are a thank you gift for hosting it. The Eisteddfod stones remain as a park feature. The Council committed to a sports stadium and football pitch in early 1950. By 1972, a Colwyn Bay guide indicated a park in full swing with numerous children’s facilities and a Welsh Fargo Express road train which carried people to and from the Promenade. 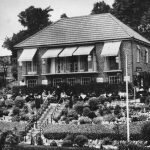 In 1971 the Four Oaks Restaurant was opened but was in a ruinous state by 2002 and demolished just before Queen Elizabeth and Prince Philip visited the park as part of their Golden Jubilee tour. Glan y Don Hall (an outstation of Cheadle Royal Hospital), built in 1911, became surrounded by the park and was bought by the Council in 1960 to become the Civic Centre, later renamed as Council Offices. 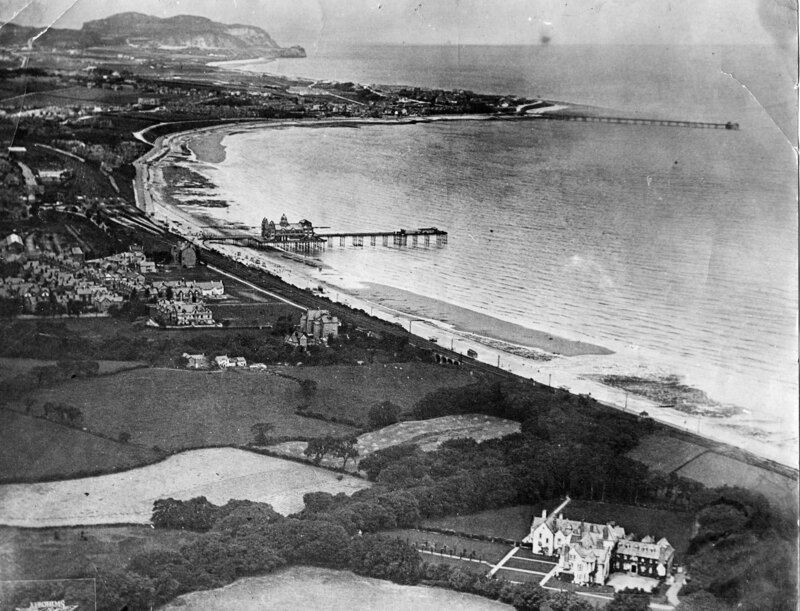 In the early 1970s, an eastern part of the park, some of which hosted Colwyn Bay Rugby Club, was lost to the establishment of the North Wales Police Headquarters and to a link road from the planned A55 Expressway to Old Colwyn (Rotary Way). The Rugby Club moved to Rhos on Sea. In the early 1980s a strip of land at the north side was lost to the new A55 expressway. Colwyn Bay Football Club also had to move out for the same reason and moved to their present home in Llanelian Road. The main loss was the yacht pond; this was replaced by a much smaller pond adjacent to the Council Offices. This pond, in turn, is due to be lost, along with the adjacent Council Offices building when council personnel move to a new building in Colwyn Bay. Thus, all water based facilities are now concentrated on the boating lake. This has been improved with the addition of a reed bed, which has attracted significant wildlife with several swans, many ducks and other species. All these manage to coexist with numerous boating activities and even the annual firework display. For several years a feature of the park was Dinosaur World. This closed in 2003 and the site was redesigned as a Forest School with a well laid out building for assorted educational activities. The Leisure Centre was opened in 1981 providing indoor sports facilities and a 25 m, 6 lane swimming pool. In the 2000s, the original sports stadium has been transformed from a local facility to one able to host international events with television coverage. 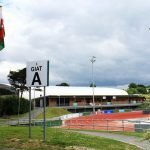 It can also host major musical events such as the annual Access All Eirias which features singers from the famous to the well-known. Adjacent new buildings and changing rooms can have many uses and there is also a large indoor event centre. The complex is also a major rugby hub and has been renamed Stadiwm Zip World for sponsorship reasons. Anticipating loss of the Council Offices, extra car park areas have been constructed next to the stadium; unfortunately, these must be crossed if one takes a perimeter walk round the park. Some covered tennis courts (James Alexander Barr Tennis Centre) have been established; these replaced a previous ‘tennis dome’ lost in a gale in 1996. Finally, there are both grass and artificial football fields which can be hired. Plans are in consideration to improve the existing park and recover some lost facilities with an application for a Heritage Lottery grant in mind. With the losses already mentioned or in prospect, estimated park area is now about 42 acres or 17 ha. 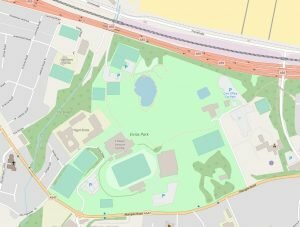 The Eirias Park Facebook site carries many photographs of a historical character indicating former facilities or past appearance of current assets such as the boating lake. 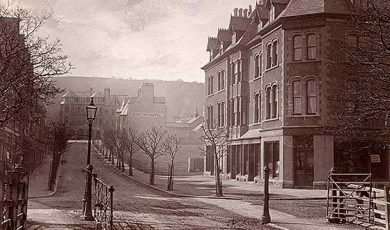 These are almost too numerous to mention; other material on the Colwyn Bay Heritage Group website was very helpful. Some volumes of Council minutes have been studied not all.